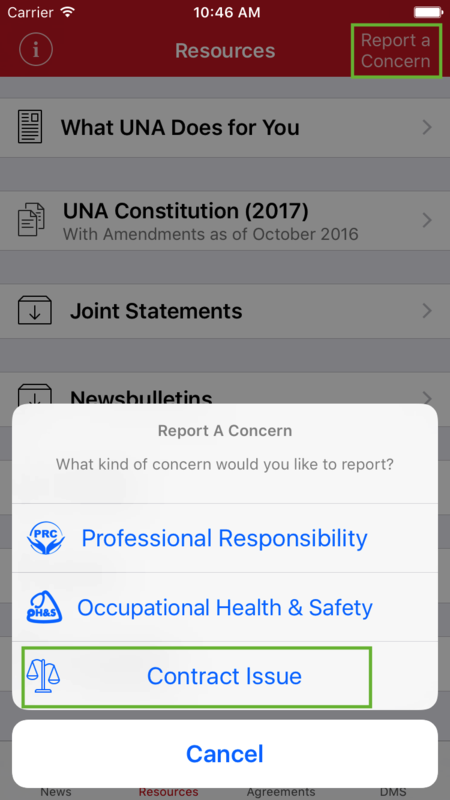 Tap on News, Resources or Agreements to access Report a Concern. Report a Concern is located in the top right hand corner. Once tapped on the different types of concerns will open. 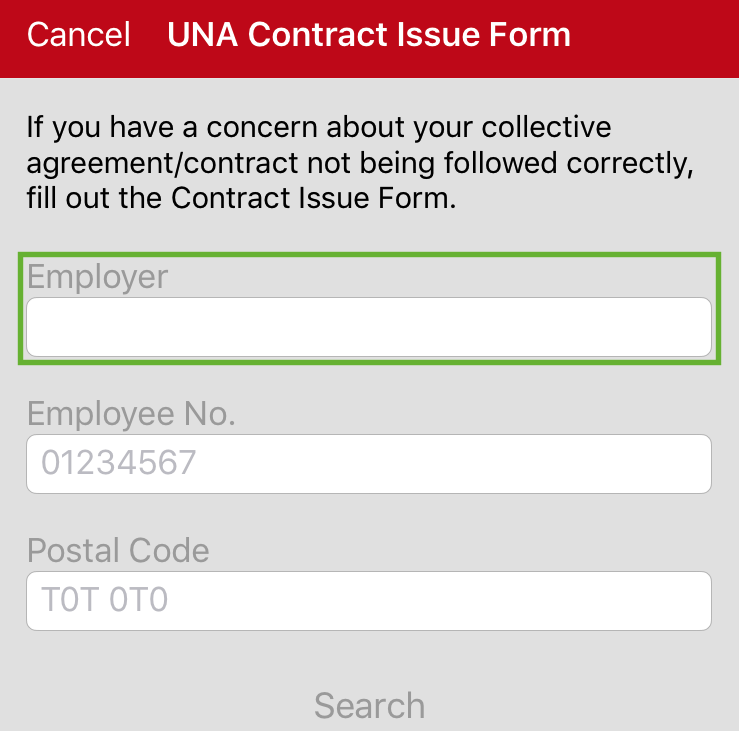 Tap on Contract Issue. 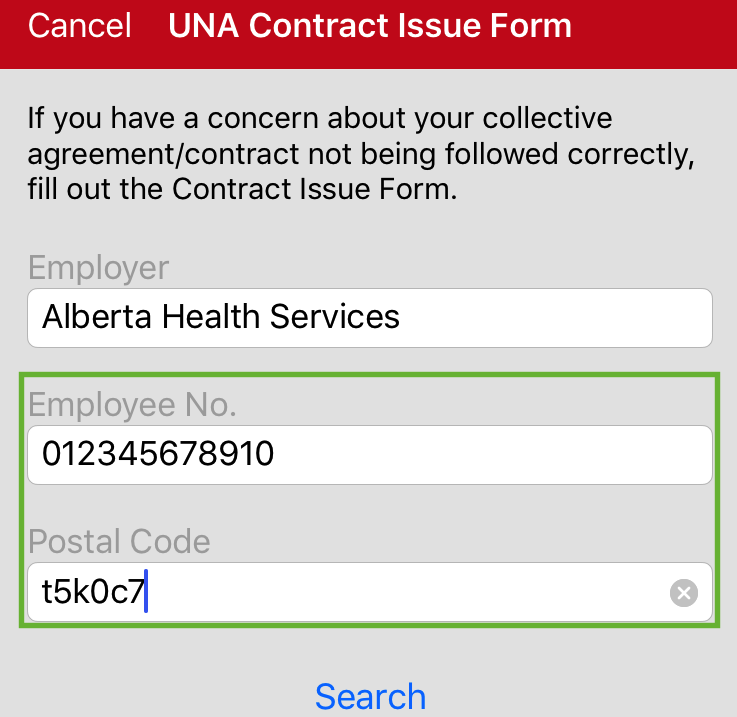 Next two fields to complete are the Employee No. 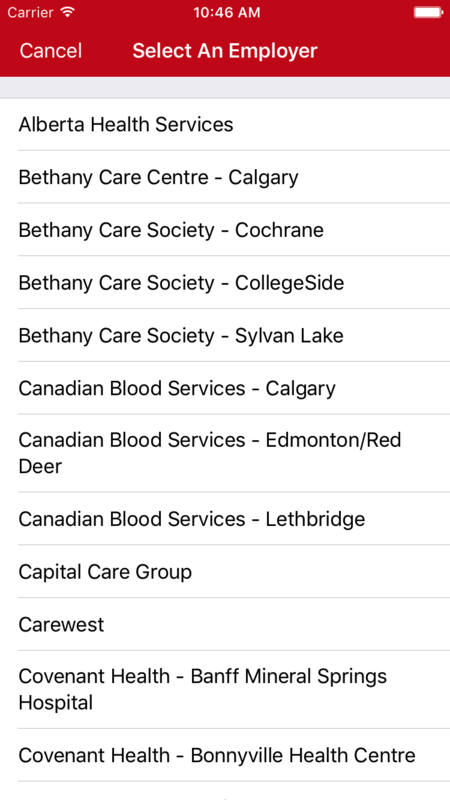 and Postal Code and they are manually entered. This information is what the Employer has on file for you. 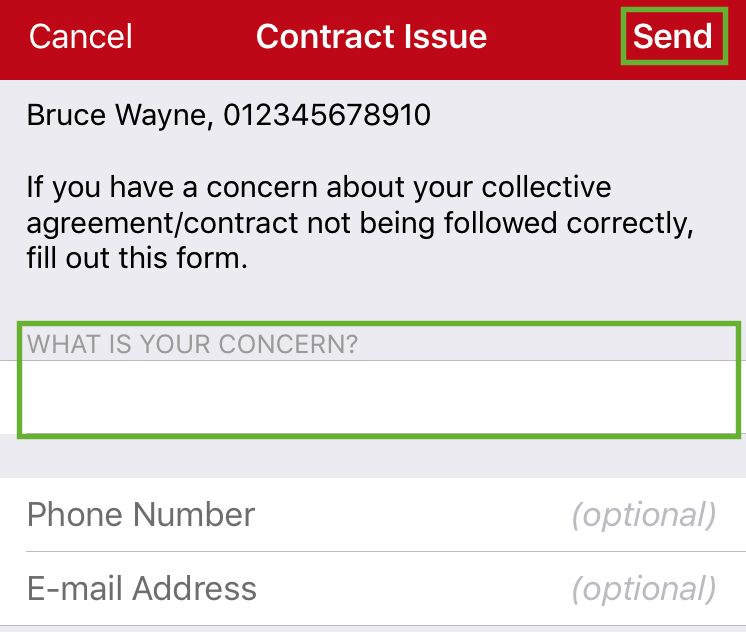 The Contract Issue screen will open. Manually enter in the concern you have. Phone Number and E-mail Address are optional. Tap on Send once all is completed. 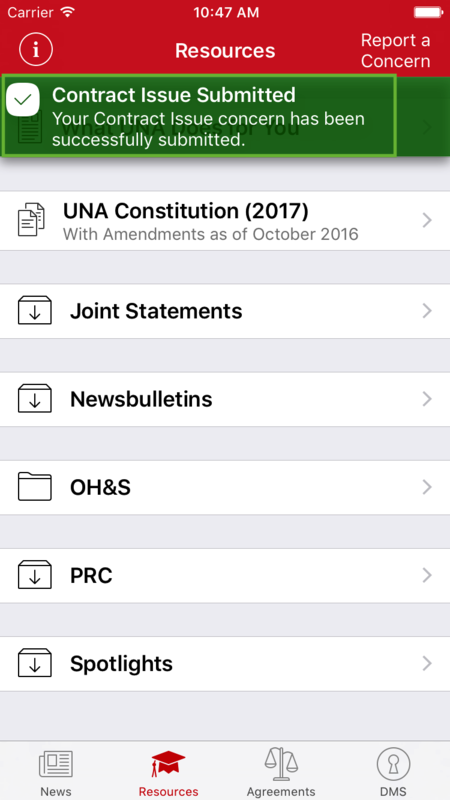 You will be taken back to Resources screen and will see Contract Issue Submitted.